Vancouver is Canada’s largest city on the west coast. It is a metropolitan city with plenty to do and surrounded by gorgeous mountains, unbelievable vistas, dense forests, and wildlife watching for every traveler’s enjoyment. Canada à la Carte is ready to show the traveler the history and sights of Vancouver’s best. 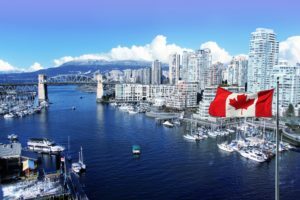 Vancouver is Canada’s third-largest metropolitan area, with Canada’s highest population density. It is world-renowned for having the best quality of life for those who live there. The original settlement of Vancouver was called Gastown, a logging community that started to become a center for trade and commerce around 1867. Though, there had been many who’d come to the area for the Fraser Gold Rush years before. Greater Vancouver, and nearby areas, have become one of the largest film production places in North America. One of Canada’s warmest cities in the winter, Vancouver is an excellent destination for travelers during all times of the year. As mentioned earlier, Gastown was the place that was the start of modern Vancouver. It is now a national historic site and popular neighborhood for tourists. Of course, today’s Gastown is different from the historic version. What once was logging mills and warehouse are now tourists, restaurants, nightclubs, and a hipper array of businesses. Some of the streets are cobbled, giving it the feeling of an old town. One of the major attractions of Gastown is the Steam Clock, which is a clock that runs on steam. Built by Raymond Saunders, it is one of the few remaining steam clocks in the world. With its appearance resembling that of a 19th-century antique, it was actually built in 1977. Though, it still adds a sense of old-town feel for the traveler who visits this amazing and historic part of Vancouver. To the northwest of Vancouver is natural area called the Haida Gwaii (“Islands of the Haida people”). It is an archipelago of islands making up the heartland of the Haida people, who have lived there for 13,000 years. The Haida have sovereignty over the islands with an acting government. The two main islands of the archipelago are Moresby Island and North Island (aka. Graham Island). There are also about 150 smaller islands that make up the spread off the Pacific Coast of north Canada. A remote area, the traveler can experience nature in its most pristine form. The traveler has many options when exploring this majestic land. Some of these include hunting, fishing, kayaking, surfing, and hiking. Beyond exploring, travelers can learn about the indigenous Haida and their history. This is not to be missed by those who want to get away from it all. Not too far to the west of Vancouver is the Pacific Rim National Park Reserve. This is another area with a stark, natural atmosphere. It covers 197 sq. miles and is comprised of three regions: Long Beach, Broken Group Islands, and West Coast Trail. The old-growth forests are ancient and full of wildlife to observe. The traveler can witness black bears, wolves, and elk. The hiking of these venerable places will take the traveler on a journey to peaceful surroundings. If that wasn’t enough, the coasts are full of varied wildlife to witness as well. Sea lions, seals, and porpoises play along the coasts; while killer whales, grey whales, and basking sharks can be watched while traveling their migratory paths. With all of this, the traveler will not be disappointed by the sights of the Pacific Rim National Reserve and the peace of its atmosphere. There’s a reason Vancouver is a highly sought-after destination for travelers across the globe. It has an international culture, a pleasant sense of being, and sits near some of the most ancient areas of nature on Earth. That’s why Canada à la Carte wants to personally show the traveler what makes Vancouver a great destination. With tours of the city and its surrounding nature that are customizable – the traveler will wonder why they hadn’t been before now. 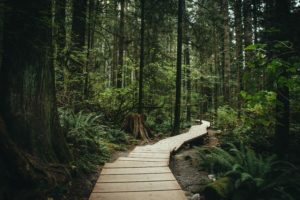 Discover the rich landscape of British Columbia on this eco-friendly excursion into Vancouver and retreat into the sanctuary of Haida Gwaii. 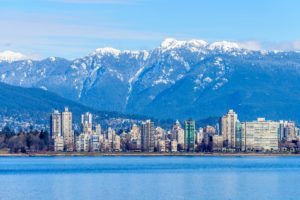 From colorful downtown neighborhoods, to culturally diverse suburbs and mountainside districts, there’s plenty to explore in Vancouver! Adventures await in the heart of Canada’s wilderness, including whale-watching and bear-spotting expeditions.